Weeks after Moroccans voted to approve a referendum on constitutional reforms, the country’s king called for new parliamentary elections to be held soon. 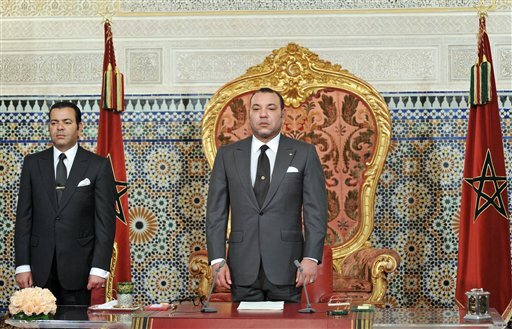 King Mohammed VI said the new political agenda should be in accordance with results of the elections. Earlier this month, voters approved a constitutional reform that would weaken the king’s powers and boost those of the government. Under the referendum, voters are empowered to select a prime minister, ending the longstanding practice in which the king has selected his own man for the job. Also under the reforms, Morocco will have an independent judiciary and provide equal rights for women. “In the near future, priority should be given to the adoption of new laws regarding institutions on the legislative, executive, and judicial levels,” the king said. Inspired by the so-called “Arab Spring” movements in the Middle East and North Africa, thousands of young Moroccans have taken to the streets in recent months. The youth-based February 20 movement wants jobs and an end to corruption.